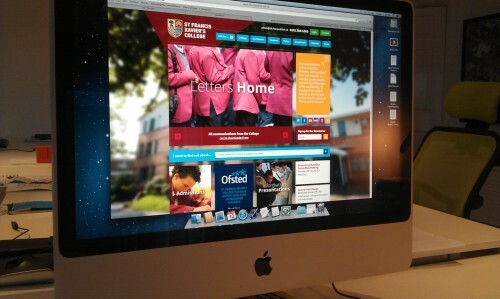 We have been working hard on upgrading the new website for St Francis Xavier’s College, which went live this week. The complex site allows full access to the current curriculum, pastoral care and information on their admissions policy. The Igoo team worked closely with both pupils and teachers from SFX through a series of focus groups, ensuring that the final product was user friendly and accessible. The website contains an intranet system, with a virtual learning environment for students and the site will be regularly updated with current school news. Igoo also manages the newsletter mail-out system ‘Letters Home,’ informing parents and pupils of any changes and developments within the school.